You’ve heard of a “flat character” in fiction novels – he’s the easily recognized character type who may not be fully delineated but is useful in carrying out some narrative purpose only the author understands. 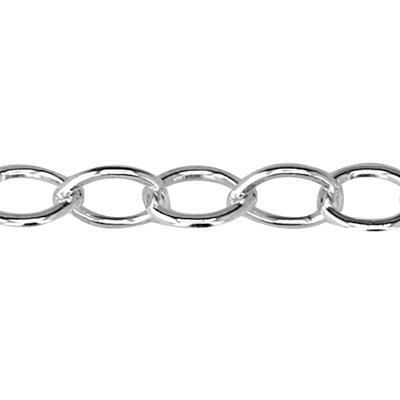 This 16 inch finished 1.6mm sterling silver flat cable chain with a spring ring is your guy! Not exactly the hero but oh so necessary to complete your narrative of a beautiful piece for your jewelry design ideas. Who doesn’t love a happy ending? !